Pictured above: A pretty neighborhood in the very retirement friendly town of New Bern, North Carolina. We are excited to offer a new feature this week: all communities listed at Topretirements will start to have a photo in their State Directory and in their individual listing. The idea is to try to make them more useful. You can see how it works in our Florida Directory. If you choose to live in a community with amenities and shared facilities you will soon get acquainted with your Home Owners Association (also referred to as Community Associations). Some people hate the control they represent, while others appreciate them as providing an essential service. This update to our 3 part series will help you understand the key issues. 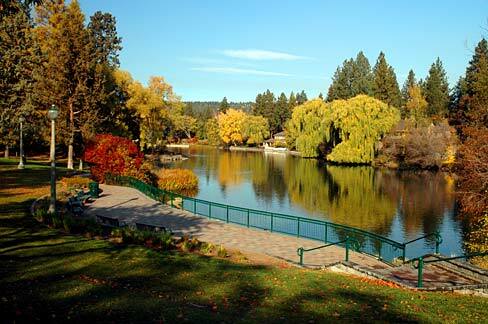 For a little town in central Oregon, Bend gets a a lot of attention. The town has plenty to do including minor league baseball and basketball. But it is most famous for being in a beautiful area with outstanding outdoor recreation on the Deschutes River and nearby Mt. Bachelor. Click on a state to see reviews of 865 great retirement towns, plus capsule summaries of 1,815 active adult communities. We&apos;ve seen a ton of interesting articles and tools for retirement lately, so here are links to the best of them. One good one offers 22 tips to improve retirement for women, others include: find a city&apos;s humidity index, how to hire a fiduciary, retirement checklist, the struggles golfing communities are having, and more. If you think this newsletter is helpful, please forward us to a friend who might enjoy it. Here is where they can get their own (free) subscription. This historic town created by Swiss and German settlers is located where 2 rivers join to meet the Pamlico Sound on the Southeastern coast of North Carolina. 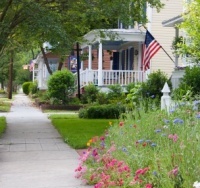 It has a 56 square block tree lined historic district as well as many active adult communities nearby.